Description Opened Aug. 22, 1983. 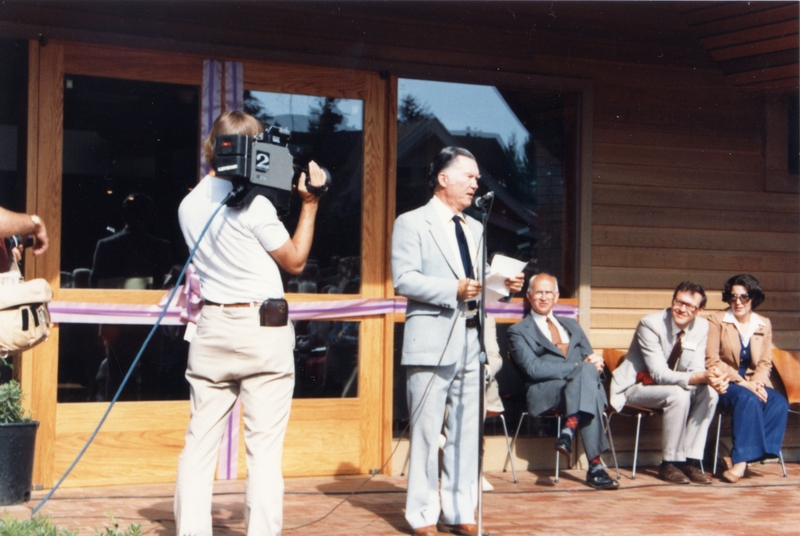 Second library located at 4th & D Ave. [paper] Oregon's Poet Laureate, William Stafford was a featured speaker before the ribbon was cut and the doors opened. ""Invisible skyrockets, we know, are going off over our town today: our library is back. In parts of the world where pollution is overwhelming people, they have established oxygen stations: you can stop by and inhale and be saved: this is our station. Many keys hide here and are called forth by a little signal: the nudge of a book and all of history crystallizes from a dazzled read again and again . . .Complete transcript of William Stafford's opening words are available in the reference department. Transcription Wm. Stafford, Poet Laureate.